This is probably my most exciting post I’ve written for you all! Today’s post is all about Ramadan and Eid decorations for your home. Decorating the house for the month of Ramadan is something I never took thought to, but since watching Dina Tokio’s ‘ramadan favourites’ last year and she mentioned decorations, it started to get me thinking. Come November 1st, the Christmas decorations are out. We await the John Lewis advert and we keep our eyes peeled at shop front decorations, we immediately feel the ‘Christmas spirit’ alongside the many around us, we anticipate Christmas day to enjoy the many films on the tv, the crackers etc. When it comes to Ramadan however, there isn’t near the same vibe. Living in a country where Ramadan and Eid aren’t set holidays and the celebration isn’t apparent amongst shops and brands, it’s our duties as Muslims to create that ‘Ramadan feel’. I get so so excited for the month of Ramadan every year, it’s such an amazing time of the year and we often forget to take full advantage of it. Okay so that was a rambly intro, long story short its Ramadan lets decorate woo. I’ve surprised by how much decorations for Ramadan there are being sold on Etsy, simply by typing in: ‘Ramadan decorations’. There were so many things, from buntings to lanterns! I’ve been reading this blog for such a long time, there’s so many cute decorations and DIY printables! 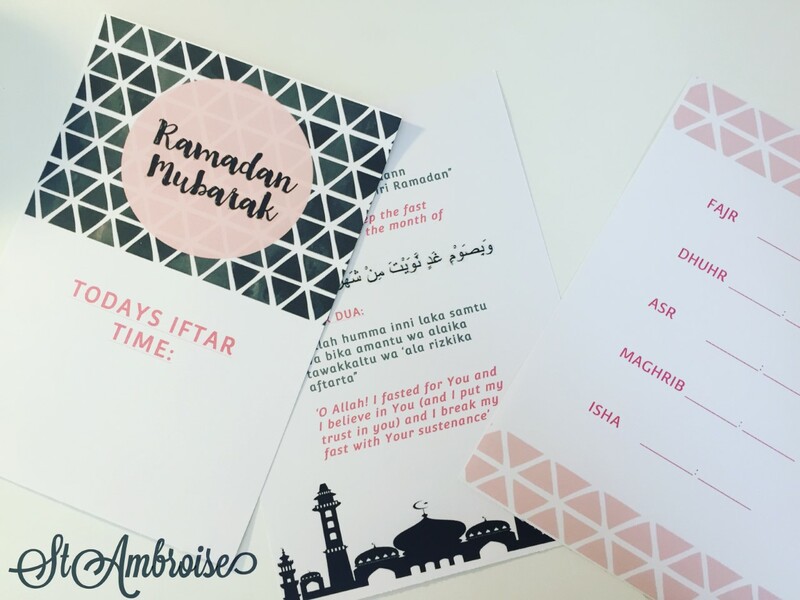 When its nearing iftari time, everyone in the family, is rushing around locating the Ramadan timetable and checking their phones, this small iftar time document, is fun to do and its cute too! 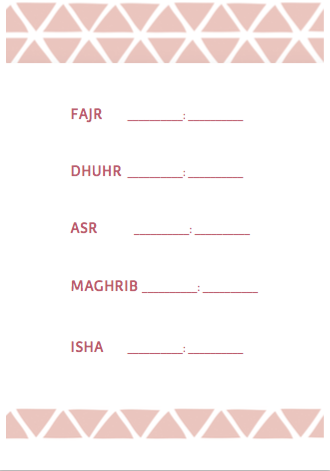 I’ve taken inspiration from this to create this ‘iftar time’ which you can download and print for free. It’s super easy, you print the document off on A5 paper and place it in a frame, and using a washable marker to write the iftar time for that day! 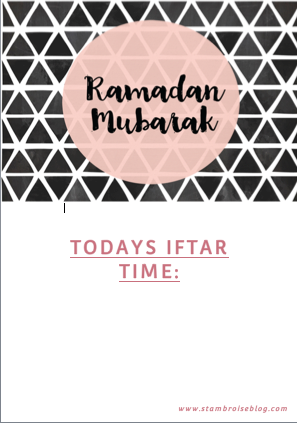 This stems from the same idea of ‘Today’s Iftar Time’ one, in the same format I made a document which can be used in the same way, by printing it off and placing it in a frame! 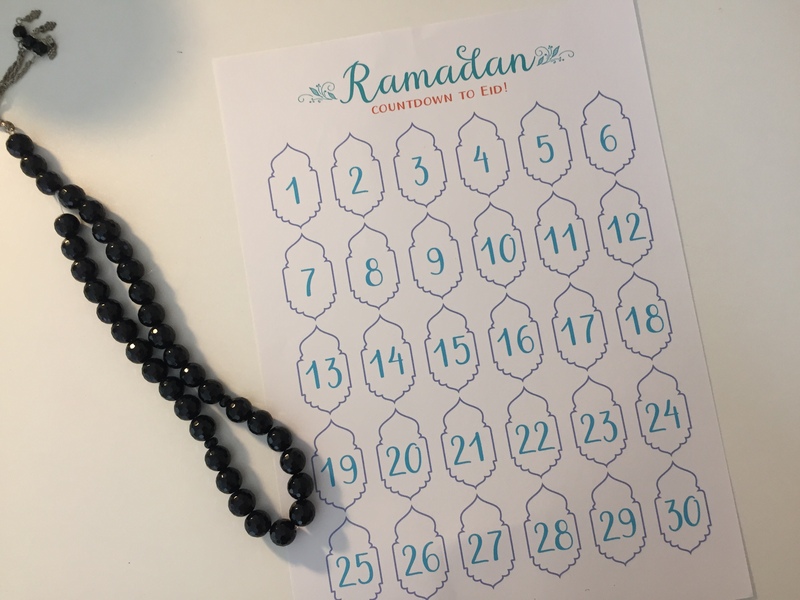 This helps to create a bit of entertainment and fun around the house during Ramadan and helps you keep on top of your namaz’s. This was an instant download, which I printed on card and hole punched and fed ribbon through it, and hung it up, it looks so good in my house. I really adore the colours of these, but there are so many to choose from! 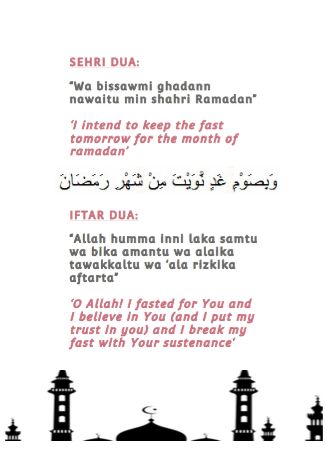 Again with the same format, I’ve made a a5 print with the sehri and iftar dua. You can easily download and print these off and place in a frame on your dining table! This blog is so so good for all things DIY, everyone must give it a read! From here, I dowloaded the free countdown to Eid document! All printables are ONLY for personal use.